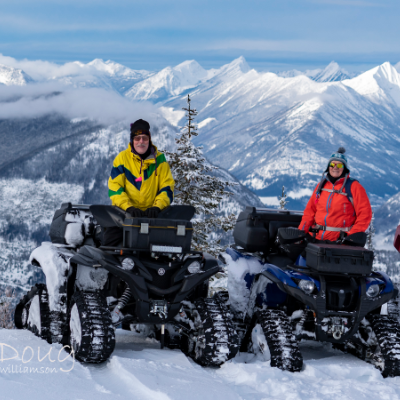 In a small town just a stone’s throw from the historic town of Barkerville, B.C., the town of Wells gave birth to a new ATV club in 2012 that boasted just 10 members. After a few ups and downs, the club has grown to 20 members today. Even with these small numbers, the Wells Wheels took on the Herculean task of hosting the 2018 ATVBC AGM. 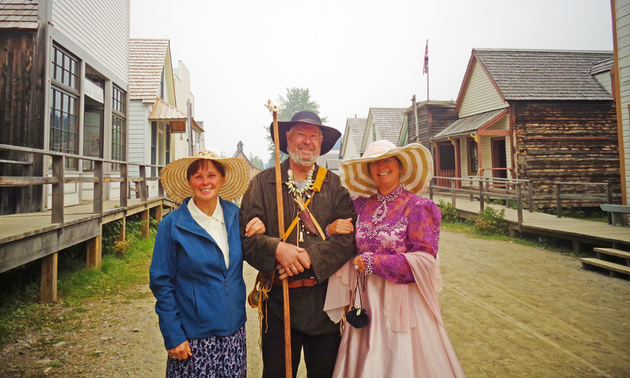 With the backing and assistance from the Town of Wells, the Town of Barkerville, the Barkerville Historical Society and ATVBC, the Wells Wheels choreographed a week's worth of events to satisfy everyone’s tastes. Three days of three different guided rides to local riding destinations provided the opportunity for breathtaking views—from mountaintops to a trip to the spectacular Ghost Falls. 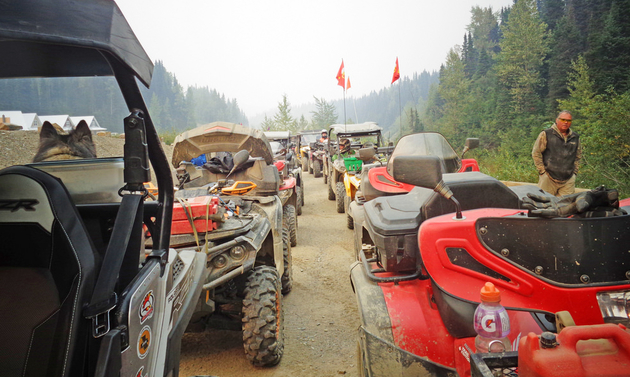 There was even a sunset ride, which saw in excess of 50 machines winding their way through the Town of Barkerville and up the mountain to Groundhog Lake along a trail that has been closed to ORVs for over 10 years. A special thank you is given to Barkerville Historic Town and Rec Sites and Trails BC for giving us permission for this special guided event. For those of us who wanted a change of pace, there is the Town of Barkerville, which many took advantage of. In fact, several members dressed in period costumes on Friday and toured the town, much to the delight of both the locals and tourists. Friday included a buffet dinner in the newly constructed pavilion in Barkerville with in excess of 150 people seated for dinner. 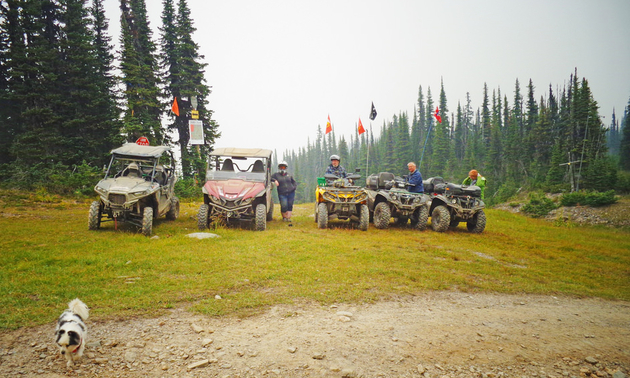 Saturday dawned with a drizzle of rain but there were still hardy souls who went riding, did some last-minute shopping in Wells or took another tour of Barkerville before attending to the real purpose of the weeks activities, namely, the AGM. Sunday brought more rain but that didn’t stop the Wells Wheels from hosting a poker ride, which was well attended by 74 entrants. 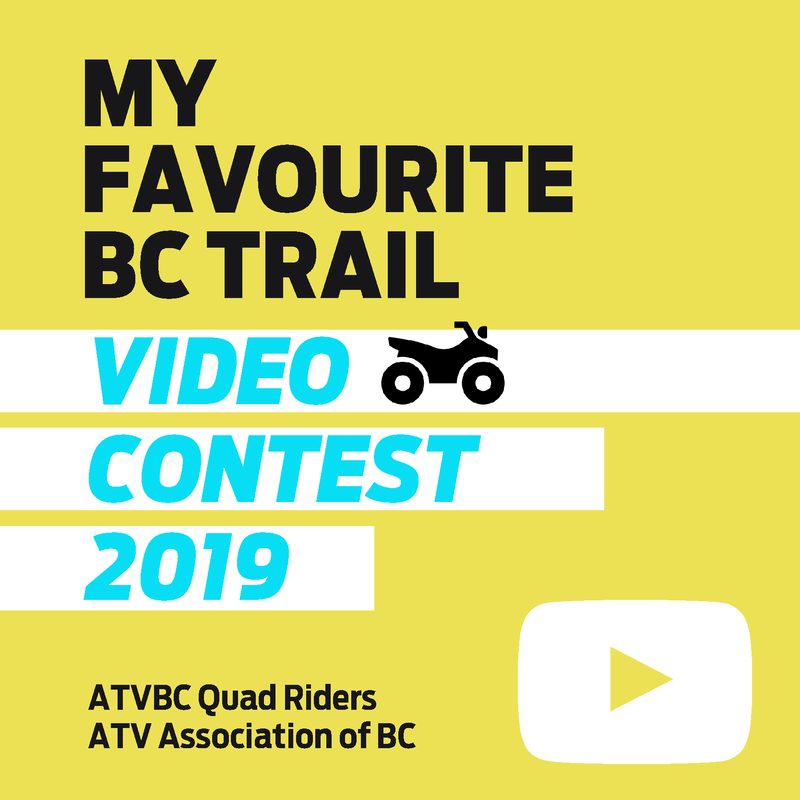 Hosting this event took over two years in the making with Wells, Barkerville and the Wells Wheels building interconnecting trail systems between Barkerville, the two nearby campgrounds and the Town of Wells, including the construction of four bridges. A huge “thank you” must be given to all the hard-working people of these communities. Also, “thank yous” are extended to Rec Sites and Trails BC, Barkerville Historic Town and Barkerville Goldmines, without whom none of this would have been possible.